New report reveals banks are not harnessing their balance sheets to support climate goals or the UN Sustainable Development Goals (SDG) despite 88 per cent of them acknowledging the environmental and social impact of their business activities. Kuala Lumpur: A new WWF report finds ASEAN’s biggest banks are increasingly aware of the impact that their businesses have on the environment and society but are slow to act on the huge potential they hold in addressing climate change and financing sustainable food, energy and infrastructure systems in the region. The region is particularly vulnerable to climate change which exacerbates food and water insecurity. By not considering these issues, banks stand to miss out on ‘game changing’ opportunities for the region’s sustainable development and may face unmitigated climate risks in their own balance sheets. For Malaysia, the report finds that all six banks which were assessed have been making slight progress, especially in terms of disclosure and transparency, and stronger commitments to sustainability than they did last year. This progress, although slight, shows positive acceptance and effort amongst these banks in managing ESG risks and integration. According to Dr Henry Chan, Conservation Director for WWF-Malaysia, “Malaysian banks are making incremental progress in their environmental and social scores, compared to 2017. Nonetheless, even though we are observing varied levels of strategic planning and efforts among these major banks, we hope that they will continue to progress in the coming years as a reflection of their contribution in supporting the Natural Capital of Malaysia and ASEAN, the SDGs and the Paris agreement”. 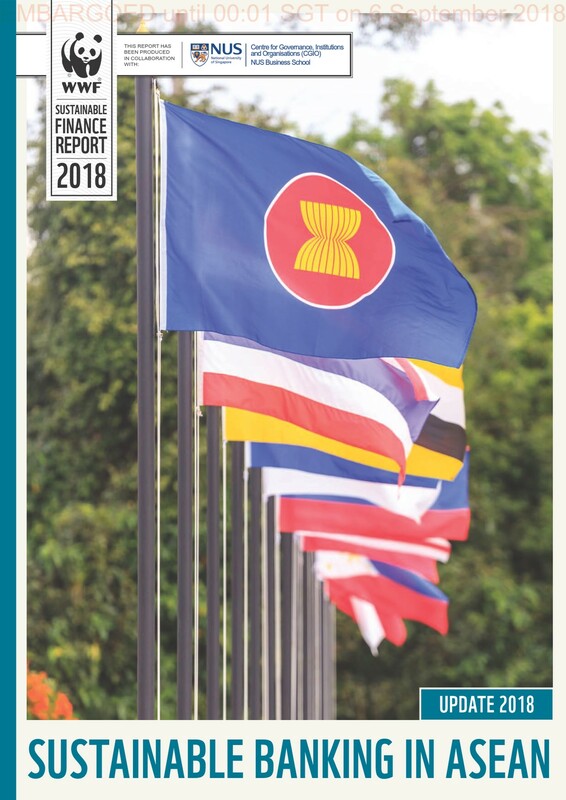 The report finds that ASEAN banks are capitalising on opportunities in response to climate change and the need for sustainable development with 22 banks disclosing they have developed green financial products such as green bonds and sustainability-linked loans. However, these niche products will not be sufficient on their own for the huge investments required to meet the Paris Agreement and the SDGs by 2030. In order to properly capitalise on this opportunity, banks must set science-based targets to align their portfolios to a resource- and carbon-constrained world. The report finds that banks in ASEAN have not yet done this, and may be missing out on opportunities while continuing to be vulnerable to the impending transition and physical risks of climate change.